Top 10 Signs | Has Your Business Outgrown your DIY Website? If you’ve made an investment in digital marketing, and currently have a website using one of the major DIY Web Builders such as Wix, Weebly , Squarespace or Godaddy, your business may have outgrown, or soon will outgrow, your DIY website framework. To help you understand when it makes sense for a business to move on from the DIY Web Builders, I’ve listed the top 10 signs to look out for. 1. Your site has a ‘Cookie Cutter’ appearance lacking brand credibility. You notice other websites online that have a similar appearance to your site making it difficult to differentiate. 2. It’s too time consuming or impossible to make minor customizations to your site. Your vain attempts to differentiate your business by customizing your site absorb huge blocks of time leaving you frustrated, and well, still looking ‘Cookie Cutter’. Your business is still not receiving the number of visitors that it should receive, and your position in google is just not as good as it should be. Perhaps you are seeing advertising on your site that has nothing to do with your business and is distracting your customers from your message. 5. You need to change your template but are not allowed to do so. Perhaps you are locked into a template that needs to be changed but you are not allowed to change it. 6. Your site is loading too slow. You notice your site taking a long time to load, and realize the impatience and short attention span of the average visitor. 7. Your site isn’t mobile friendly or responsive. You are aware that Google penalizes sites if not mobile friendly, and since most visitors are accessing sites on smart phones now, your site needs to display effectively on smartphones as well as laptops and desktop screen sizes. Your current site does not display well on all screen sizes. Your attempts to analyze your site statistics make you aware of inaccuracies inherent in DIY Web builders which is unacceptable today because of the readily available awesome google analytic tools. 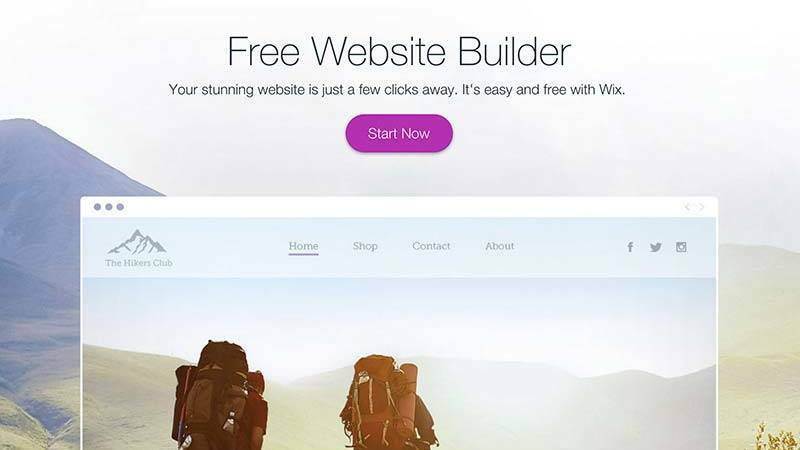 You have attempted to get website help from Wix, Weebly, Godaddy etc.. but help doesn’t come. You’re still stuck. You realize your site, and all the hard work that you put into it, is not owned by you and you cant take it with you. You’re just a renter. This hard fact, leaves you understanding that you do not want to invest any more time and money into a site that you dont own, cant control, and cant take wherever you might want to go in the near future. If you are experiencing any of the above listed issues, no need to despair. There is a solution! This might be helpful to you as well. Check out Top 3 Tips Choosing s Small Business Platform. I specialize in helping small businesses dealing with these issues get to the next level. As a WordPress developer, website designer, coder, and Digital Marketing/SEO expert, I have the most cost effective website and digital marketing solution yielding the best returns. Feel free to contact me when I can be of service. To start, first please email me. “Mark Lovett is wonderful to work with! I am a graphic designer with limited web experience, so when I needed a website for my own firm, I turned to Mark for help. He enthusiastically agreed to work with me—he did all the setup and technical work, but at the same time, we sat together and he taught me how to get in the back end and do some things myself. He was patient and had a great sense of humor as I tried to grasp this foreign language!